The Tiki Round Umbrella is an outdoor umbrella which is furnished by Sunbrella® which we find is the very best fabric for outdoor furniture and umbrellas. 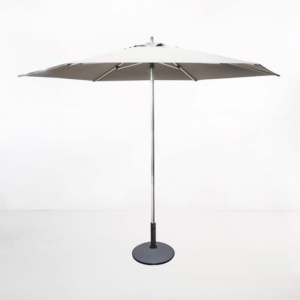 This round outdoor umbrella is perfect for those days spent outside entertaining guests or having a relaxing night out in the garden. 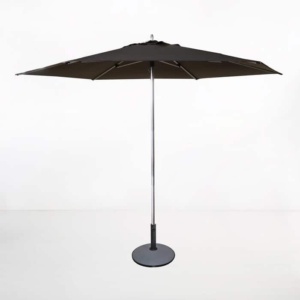 Use umbrellas as your shade outdoors it is the perfect place to be to block harmful UV rays and to cool the temperature, perfect ambiance for evening dining. The Tiki Round Umbrella is available in black, white, taupe or grey. This item is sold separately from the base.